It's been quite a job for me to keep this awesome announcement hush-hush over the past few weeks! I am incredibly excited to be working with a tremendously talented group of bloggers for an upcoming project with The Home Depot. 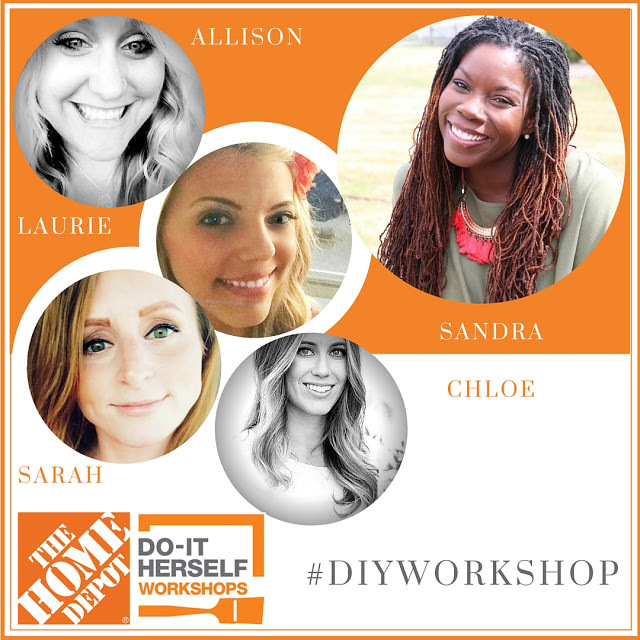 I am thrilled to be joining the Do-It-Herself Workshop team this month! This year they have created Virtual DIY Workshops in which four bloggers are handpicked by a host to share a fun DIY project. I was honored to be chosen by our host Sandra from The Rustic Life for this awesome project! And honestly, so humbled to be asked! Just look at all these talented ladies participating this month! We will each be making this Hanging Gutter Planter and putting our own take on this fun DIY project! Next week, we'll be sharing our customized versions of the project and you can join in on the fun too! 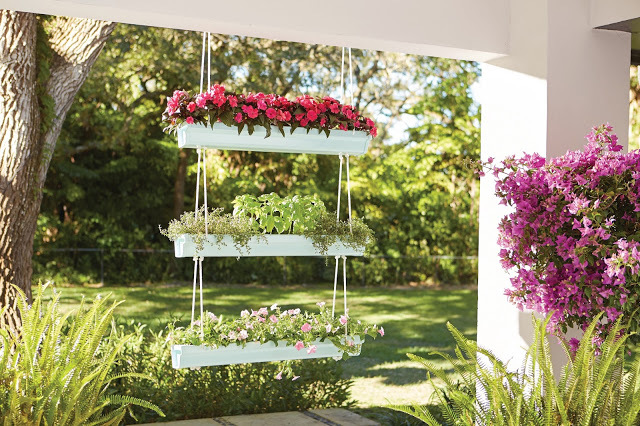 Click below to register for the Do-It Herself Workshop at your local Home Depot store to learn how to make your own Hanging Gutter Planter. The Home Depot provides FREE Workshops at all of their locations for do-it-yourselfers of all ages and experience levels. There are three types of workshops: Do-It-Yourself (DIY), Do-It-Herself (DIH) and Kids. Workshops are where customers can learn how to build decor projects, how to make easy home repairs and how to operate tools through demonstrations and step-by-step instructions. This would make a great girls night too! You can learn more about all of the workshops Home Depot offers here! Hope you join in on the fun with us!